Can your roots tell you who you are? Ever since the end of the Korean War in 1953, South Korea has earned a name as one of the largest exporters of babies worldwide. Over 200,000 infants have been put up for adoption and sent overseas, mainly to Europe and the United States. In Malene Choi Jensen’s debut The Return, the repercussions of this phenomenon are explored through the eyes of two Danish-Korean adoptees, who return to their motherland with hopes of finding their birth parents. In turn, what begins as a personal search for truth in this docu-fiction hybrid steadily evolves into a poignant meditation on loneliness, displacement and belonging at large. The Return premiered in the Bright Future section of the International Film Festival Rotterdam and most recently, was in-competition at the Göteborg Film Festival. It received a Special Mention from both juries. Adopted and raised in Denmark, thirty-something Karoline (played by Karoline Sofie Lee) visits South Korea for the first time to look for her birth mother. She stays at the Koroot guesthouse in Seoul, which caters specially to international adoptees all over the world wanting to get in touch with their cultural roots. During her trip she visits international adoption agency Holt with her birth papers, but is impeded by endless bureaucracy and the officer’s reluctance to go the extra mile to locate her birth mother. 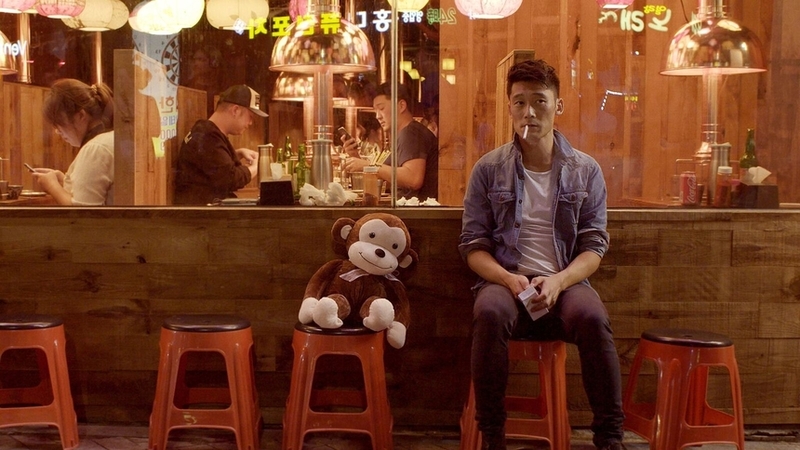 Karoline later befriends fellow Danish-Korean adoptee Thomas (played by theatre actor Thomas Hwan), who is on a similar quest for his own family. The Return bears a powerful authenticity, given that so much of it is based on Jensen’s own experiences and those around her – she, Lee and Hwan were adopted as babies from Korea, while the cast of supporting characters comprised actual international adoptees staying at Koroot during the 15-day shoot. A cosy and minimalist guesthouse, Koroot’s quarters in the film range from the communal living room couch, to the dining room, to the porch outside. And these are sites where Jensen fleshes out the mutual struggles of loneliness, displacement and reconciliation among adoptees through candid conversations and interviews. We meet an American-raised adoptee who explains to Thomas the instantaneous affinity he felt with Korea on the first night he arrived two years ago; later he strained ties with his adoptive family by choosing to move to Korea for good. A female artist from Texas tells Karoline how she feels like a time-traveller, because she becomes two years older every time she returns to Korea. A middle-aged woman recalls the complete emotional impassivity she felt upon meeting her birth father, and the reverse upon meeting her birth mother. Each of these testimonies are distinct, yet when stringed together, traverse the full, varied spectrum of human experience across time and space. There is longing, regret and anguish. There is the conundrum of straddling between two dissimilar worlds, or simply leaving behind one life for another. At one point Thomas admits, “It feels like I’m almost lying about how much we have in common, because I want us to have more in common.” As much as the Koroot adoptees are bounded by the same cause, his statement echoes a kindred desire for belonging in a world where their identities have always been in limbo, never fixed. While The Return could have worked as a fully-fledged documentary, the core framework of the film is fictional, giving Jensen room to experiment in the fields of cinematography, editing and sound design. What emerges is a unique and playful montage of recurring places and faces, from angles that evince the disoriented psyche of its characters. Images of random locations in South Korea are rapidly intercut with Karoline going about her daily activities, while scenes in some conversations are non-chronologically strung together. While these dissonant segments give an edge to the film’s composed pacing, they also represent the fractured relationships of its characters in a foreign land where they should, ironically, feel most at home. It is worth nothing that The Return’s relatively stripped-down approach does not compromise on any of its emotional beats, with a brilliantly underplayed reunion scene between Thomas and his birth mother serving as the film’s climax. Accompanied by Karoline and a translator, the meeting begins innocuously enough around a humble home-cooked dinner, served with awkward formalities and tentative small talk. But once the tough questions begin and memories of the past are dredged up, the heartrending gut punch is delivered when least anticipated. “It’s a weird fantasy place. It’s beautiful and ugly,” muses Thomas to Karoline about their motherland, as they overlook a port in Incheon city. The reality, of course, is not that every return pans out like a typical fairytale. For millions of other real-life adoptees out there still searching for their roots, achieving a resolution remains uncertain.